When sodium is low, salt is one of the most cost effective methods of increasing production. Sodium in some form should be available at all times all year round. 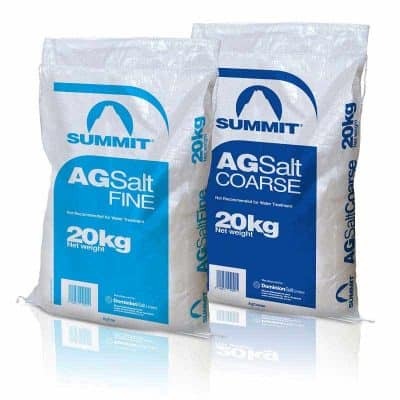 Summit AgSalt is washed, crushed, dried and classified to yield coarse and fine grains. The salt is suitable for stockfeed and other uses around the farm. Summit HydroSoft is recommended for water treatment as it has a higher purity than AgSalt Coarse and is additive free.